Craft Draft Coffee and beyond. With 2015 well on its way and a 30-year anniversary around the corner, Caribbean Coffee Company announces Bona Fide Craft Draft Coffee on Tap. 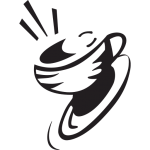 We currently offer Coffee’s from Peru, Guatemala, Ethiopia, Mexico and a Tea from India, all Certified Fair Trade, Organic (FTO). These delicious, nitrogen-infused brews are delivered sustainably in kegs and re-fillable growlers. Why is the company so excited about craft draft coffee and nitrogen? If that sounds a lot like the way your beer is poured, you’d be right. And that’s why, in December of last year, Caribbean Coffee Company partnered with Pacific Beverage Company to distribute their Craft Drafts. With this partnership, SoCal can expect to see Caribbean Coffee Company’s Craft Draft showing up in bars and restaurants, and tasting just as delicious in each location, thanks to its proprietary brewing process and the keg delivery system. “The really exciting thing about this process for me is that I can control the flavor, and make sure the coffee tastes exactly how it’s meant to,” adds Goerke. In the meantime, keep on the lookout for Craft Draft Re-Fill Stations, where customers will be able to purchase coffee by the cup or in a reusable growler, a 750ml. glass bottle with a convenient carrying handle. You might have already noticed the Caribbean Coffee Company “Craft Draft Trike”, a pedal-powered Craft-Draft dispenser that’s likely to show up at the next Brewers convention, festival, or market in your neighborhood. www.CaribbeanCoffee.com & get social with us on Facebook, Instagram , Twitter. For more information about the Pacific Beverage Company, visit the website www.PacificBeverageCompany.com.